Alongside these houses and museums, there are many beautiful Barbados points of interest to visit, including The Chattel Village which contains a colourful and eclectic collection of shops in the west coast town of Holetown. Surrounded by lush tropical gardens this is a scenic and sensory delight. Enjoy shopping, browsing and relaxing in the village as the sun shines down. 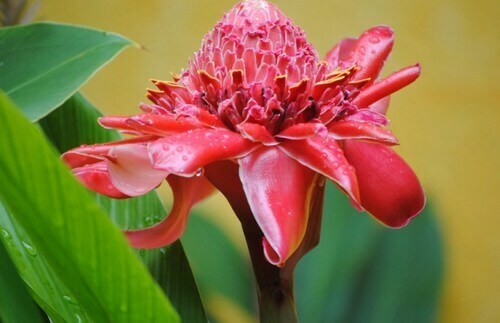 Why not head over to the Flower Forest, hidden away where a 50 acre area of tropical trees and flowers situated over 750 feet above sea level boast many different species of flower and wildlife completely unique to the island. From May to August each year, Barbados flings itself into island-wide celebrations and events, parades and parties that are collectively known as 'Crop Over', with the finale being an amazing, crazy and wild event called 'Grand Kadooment Day'. Check out the event calendar for a month-by-month list of what's going on and where, so that you can plan your visit and choose the events that appeal to you. Crop Over is a great way of meeting the locals, and you'll be made very welcome at all the events you attend. Located in the parish of St. Thomas, this deep and green ravine is nearly a mile long, and contains a fascinating variety of tropical plants and trees, such as nutmeg, bamboo, clove and a variety of different palms. Many eons ago, the gulley was formed when cave roofs collapsed and created the deep cleft that you'll see today – in fact Welchman Hall Gully shares the same geology as Harrison's Caves. 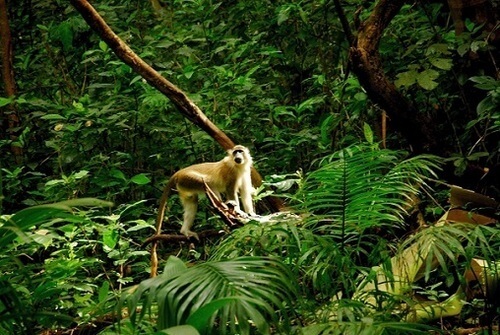 If you visit in the mornings, you can see a troop of Green Monkeys being fed – and there are a number of platforms from which you can observe several troops, as they live and feed together in their rich and verdant surroundings. Hidden away in Barbados' 'Scotland District' is the Flower Forest, which is a 50-acre acre area of tropical trees and flowers in a protected forest located over 750 feet above sea level. Many of the species growing here are unique to the island – and you'll discover global rarities such as fabulous torch ginger lilies. Expert botanists will be more than happy to give you a guided tour of this wonderful botanical sanctuary. Located on the east coast, Bathsheba is totally unlike the more touristy areas of the west coast. 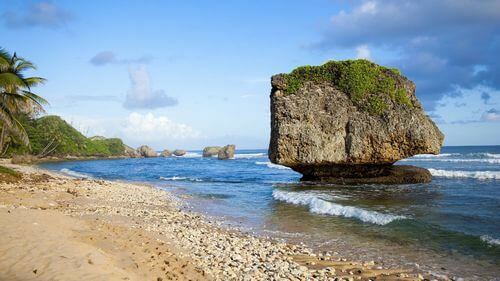 Overlooking a turbulent ocean, refreshed by onshore ocean breezes, Bathsheba is a relaxed fishing village with rum shops, local restaurants, and an easy-going atmosphere that seems to be entirely untouched by tourism. This is an area perfect for getting out in the open air for breezy coastal walks and local exploration. 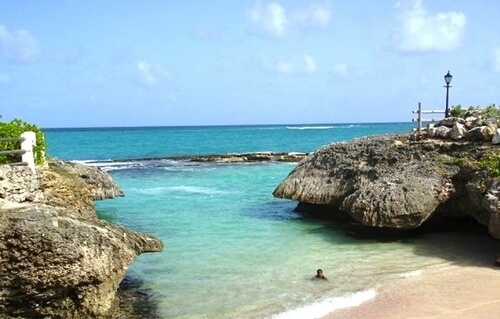 Despite its scary name, Shark's Hole is a most unthreatening and delightful place to visit – an exquisite and tiny beach on the south-east coast of the island, with pink coral sand and crystal-clear water. The bay is enclosed by a natural reef located a short distance from the shore, so inshore waters are calm, and it's a great bay for snorkelling and spotting a wide variety of tropical reef fish. 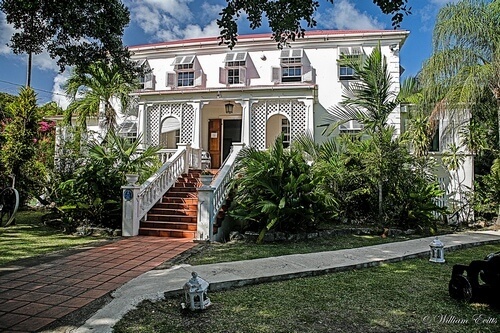 First built around 1660 by Matthew Chapman, an Irish/English planter, this beautiful historic home captures the very essence of an elegant, beautifully designed, built and furnished historic plantation house. 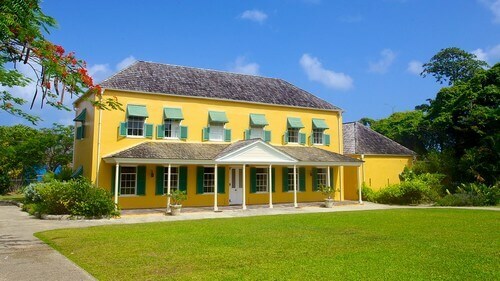 Located in the parish of St. Philip, Sunbury House now possesses one of the island's best collections of antiques – and the cellars, originally used for storing root vegetables grown on the plantation, now house the largest collection of antique carriages in the Caribbean. In the extensively landscaped grounds are more fine authentic examples of old carts and machinery used in the last century to cultivate the land. Located in Speightstown, Arlington House is an interactive three-story museum, telling the story of island life in the 18th century. Interactive displays illustrate the island's past; for example, "Speightstown Memories" describes the lives of the island's first settlers; "Plantation Memories" reveals the process of colonisation, plantations and sugar cane, whilst "Wharf Memories" recalls the importance of Speightstown as a leading port and trade centre. George Washington, later to become the first President of the United States of America, visited Barbados in 1751, which was the only country he ever visited outside colonial America. 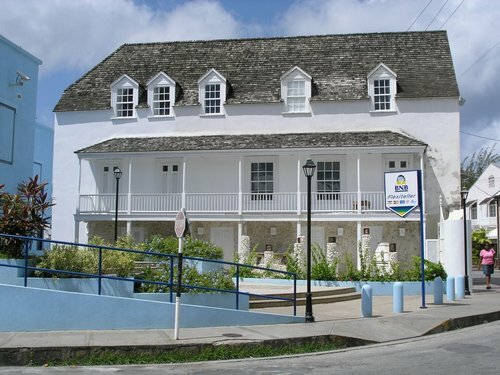 George Washington House is the place where he stayed while in Barbados, with a ground floor furnished in the manner in which it might have been in the mid-eighteenth century. The second floor is devoted entirely to displays of items typical of life in the mid-eighteenth century, and also displayed are agricultural implements, as well as other items found by archaeologists in digs close to Washington House. 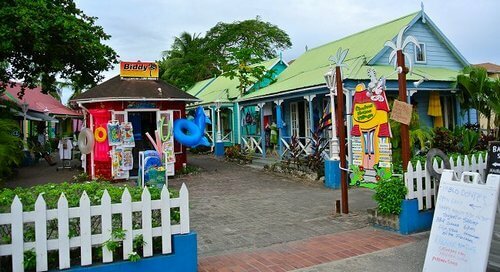 The Chattel Village is a colourful and eclectic collection of shops in the west coast town of Holetown. Surrounded by lush tropical gardens, the whole village is a scenic and sensory delight that's ideal for shopping, browsing and relaxing. 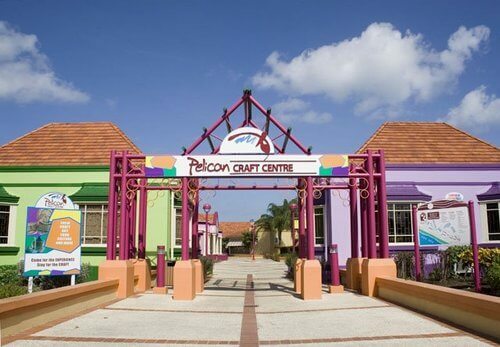 Just outside Bridgetown, Pelican Village is an attractive and spacious shopping village featuring great local handicrafts, plus it offers you a unique opportunity to see some of the island's best craftsmen at work. If you are now wanting to find out more about the incredible things you can see, please check out here for more sightseeing in Barbados!